View important updates by Sabinal Energy, LLC. THE WOODLANDS, TEXAS – September 12, 2017 – Sabinal Energy, LLC (“Sabinal” or the “Company”) and the Kayne Private Energy Income Fund, L.P. (“Kayne” or the “Fund”) announced today the closing of the purchase of certain producing oil and natural gas assets owned by Chevron U.S.A. Inc. (“Chevron”) in the Central Basin Platform and Northern Shelf of West Texas. The acquired assets produce approximately 7,500 barrels of oil equivalent per day across a roughly 66,500 net acre position in Hockley, Terry and Gaines Counties. Wells Fargo Bank, National Association provided a sole underwritten commitment for debt financing as part of the acquisition. DLA Piper LLP (US) and Kirkland & Ellis LLP served as legal advisors to Sabinal. Mobius Risk Group served as marketing and derivatives advisor to Sabinal. Founded in 2016, Sabinal is a privately held oil and natural gas exploration and production company based in The Woodlands, Texas. Sabinal is focused on the acquisition and development of large, long-life producing oil and gas assets in North America. The Sabinal management team is led by Bret Jameson, the former Chief Operating Officer at Lewis Energy Group. Bret has assembled a deep management team with experience across multiple basins in North America, including the Permian. For more information, please visit www.sabinalenergy.com. Kayne Anderson Capital Advisors, L.P. (“Kayne Anderson” or the “Firm”), founded in 1984, is a leading alternative investment management firm focused on niche investing in upstream oil and gas companies, energy and infrastructure, specialized real estate, growth equity and both private credit and diversified liquid credit. Kayne Anderson manages over $24 billion in assets and employs over 300 professionals in eight offices across the U.S. The Kayne Private Energy Income Fund, L.P. is part of Kayne Anderson’s successful energy private equity practice that has raised over $8 billion since 1998. The Fund was formed in mid-2014 to take advantage of the market opportunity to acquire and develop large, long-life producing oil and gas assets in North America. The Firm is headquartered in Los Angeles with offices in Houston, New York City, Chicago, Denver, Dallas, Atlanta and Boca Raton. For more information, please visit www.kaynecapital.com. THE WOODLANDS, TEXAS – July 18, 2016 – Sabinal Energy, LLC (“Sabinal” or the “Company”), an independent oil and natural gas company headquartered in The Woodlands, Texas, is pleased to announce that the Company has received a $300 million equity commitment from Kayne Private Energy Income Fund, L.P. (“Kayne” or the “Fund”) and members of the management team. Sabinal is a private exploration and production company formed to pursue the acquisition and development of large, long-life producing oil and gas assets primarily in the Rockies, Mid-Continent and Texas where members of management have extensive operational and development experience. Sabinal is led by President and CEO Bret Jameson. Bret most recently served as Chief Operating Officer for privately held and South Texas focused Lewis Energy, and as Vice President for the Anadarko Basin Business Unit for Devon Energy Corp., where he managed over 600 MMcfe/d and an annual budget of $850 million. 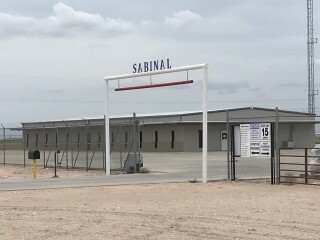 Sabinal’s senior management team also includes Chris McMahon as Executive Vice President – Technical, Dan Higdon as Executive Vice President – Land, both of whom worked with Bret ;at Devon and Jeff Gutman as Executive Vice President and CFO. development of large, long-life producing oil and gas assets primarily in the Rockies, Mid-Continent and Texas. For more information, please visit www.sabinalenergy.com. Kayne Anderson Capital Advisors, L.P. (“Kayne Anderson”), founded in 1984, is a leading alternative investment management firm focused on niche investing in upstream oil and gas companies, energy infrastructure, specialized real estate, middle market credit and growth private equity. Kayne Anderson’s investment philosophy is to pursue niches, with an emphasis on cash flow, where our knowledge and sourcing advantages enable us to deliver above average, risk-adjusted investment returns. Kayne Anderson manages approximately $21.5 billion in assets (as of June 30, 2016) for institutional investors, family offices, high net worth and retail clients and employs more than 300 professionals in eight offices across the United States. The Kayne Private Energy Income Fund is part of Kayne Anderson’s successful energy private equity practice that has raised over $7 billion since 1998. The Fund was formed in mid-2014 to take advantage of the market opportunity to acquire and develop large, longlife producing oil and gas assets in North America. The firm is headquartered in Los Angeles with offices in Houston, New York City, Chicago, Denver, Dallas, Atlanta and Boca Raton. For more information, please visit www.kaynecapital.com.